Clearly this post does NOT concern this cutie. Whether from lifestyle, diet or drugs like Botox, a highly toxic bacterial acid and similar injections, we now know that wrinkles are caused by acids. Some of the injections that are simular to Botox really should have stronger warnings due to reports of 16 deaths after the acidic botulinum toxin spread inside the body, a U.S. consumer group said on Thursday. Public Citizen (a national, nonprofit consumer advocacy organization founded in 1971 to represent consumer interests in Congress) asked U.S. authorities to require the strongest possible warning, highlighted in a "black box," on Allergan Inc's Botox and Solstice Neurosciences Inc's Myobloc. For those of you who don't know, Botox is famous for smoothing facial wrinkles but also has approved medical uses such as treating cervical dystonia, or rigid neck muscles. Botox does this by causing latent tissue acidosis leading to tissue breakdown and inflammation (thank you for that information Dr. Young). Botox, which may cause tissue inflammation gives the illusion of smoothing facial wrinkles while behind the scenes is causing tissue acidosis and potential tissue breakdown or degeneration. So really people, understand that both of these injections (Botox and Myobloc) are made with forms of a poisonous bacterial acid called botulinum toxin, which blocks nerve impulses to muscles and makes them relax. Why? The nerves relax because they are being poisoned! Public Citizen said it reviewed 180 reports submitted to the Food and Drug Administration by manufacturers involving patients injected with Botox or Myobloc. The reports detailed cases of muscle weakness due to acidity, difficulty swallowing or aspiration pneumonia due to acidity, a serious condition caused by breathing a foreign material into the lungs, also due to acidity. However, reports to the FDA do not prove a product caused a particular problem, but the agency uses them to look for patterns of potential complications. Experts believe most of the problems and issues are under-reported to the agency. "There are no safety issues raised in the petition that are not already addressed in the labeling for Botox," Allergan said in a statement. The company said it is in frequent dialogue with the FDA to ensure proper labeling and also submits all information it receives on adverse events whether or not they are related to the drug. Yet sixteen cases reported to the FDA were fatal, including four involving children under 18, says Public Citizen. Eighty-seven patients were hospitalized. Amazing! ...So, Dr. Sidney Wolfe, director of Public Citizen's Health Research Group, said such problems can occur if the acidic botulinum toxin spreads from the injection site to places such as the esophagus, causing partial paralysis. Instructions for Botox and Myobloc mention the issue but it is easy to miss, he said. Most likely as a result, Public Citizen asked the FDA to order a black-box warning to highlight the concern, plus a letter to doctors. Additionally, the agency also should require a consumer- friendly guide explaining the risks that would be handed out by doctors when the drug is injected, the group said. "These significantly improved warnings to doctors and patients would increase the likelihood of earlier medical intervention when symptoms of adverse reactions to botulinum toxin first appear, and could prevent more serious complications, including death," Public Citizen said in a petition to the FDA. The group said European regulators have warned physicians to watch for signs of the acid botulinum toxin complications. According to Dr. Robert O. Young, a research scientist at the pH Miracle Living Center, states, "the symptoms of dry mouth, difficulty breathing or swallowing, slurred speech, drooping eyelids, muscle weakness are all the result of increased fluid and tissue acidity whether from diet, metabolism or drugs. The injection of the acid botox is not worth the health risks. 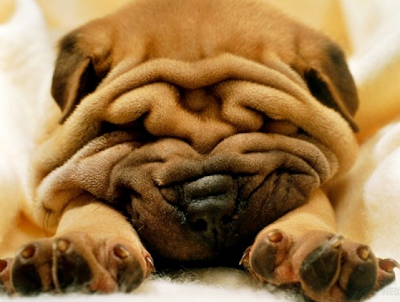 Wrinkles are the expression of over-acidic skin from the body eliminating dietary acids, metabolic acids and drug acids through the pores of the skin." 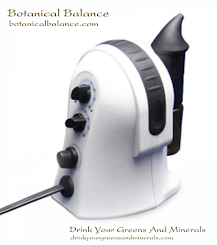 "Healthy skin that is wrinkle and blemish free is the expression of an alkaline fluid pH and healthy blood. An alkaline fluid pH and healthy blood is the expression of someone who is living an alkaline lifestyle and eating and alkaline diet," states Dr. Young. 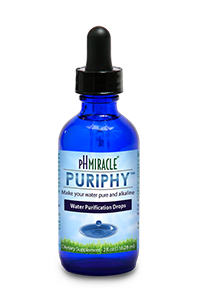 Hyper-alkalinize with high pH water and mineral salts to buffer dietary, metabolic and drug acids. 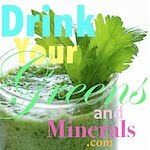 Hyper-chlorophyllnize with liquid chlorophyll and mineral salts for building healthy blood and then skin. Build healthy and strong blood and skin cellular membranes with mono-unsaturated and poly- unsaturated fats. Alkalinize the skin with a smectite montmorillonite clay called Earth Essence Clay Powder, an alkalizing moisturizer called Natural Essentials Moisturizing Creme and an healing facial toner called Natural Essentials Oxygen Mist.